This was a show I was very excited for. So few bands these days *cough* do any type of show these days. If you’re playing in front of a bunch of people, put on a show! 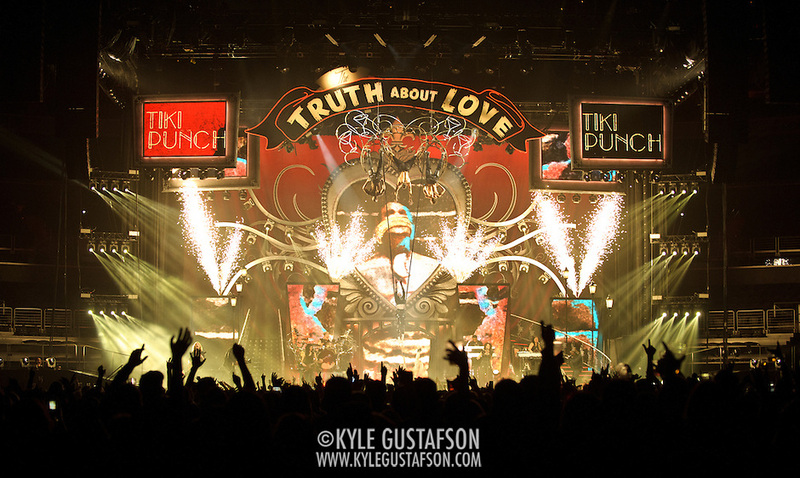 Pink did just that last week at the Verizon Center. She basically threw the kitchen sink at the audience, starting with some incredible aerial acrobatics while attached to a few giant bungee cords. Throw in some pyro for good measure, and these are not your normal, every day concert photos, for sure. After that the show calmed down a bit (at least for our allotted three songs) with Pink and her backup dancers showing off their moves. I used a rented 400mm/2.8 with a 1.4 teleconverter and while I was a little closer than I would have liked for the aerial acrobatics, it was the perfect distance when Pink was roaming around on the stage. The Hives opened up this show and they were AWESOME, so be sure to check out those photos too.